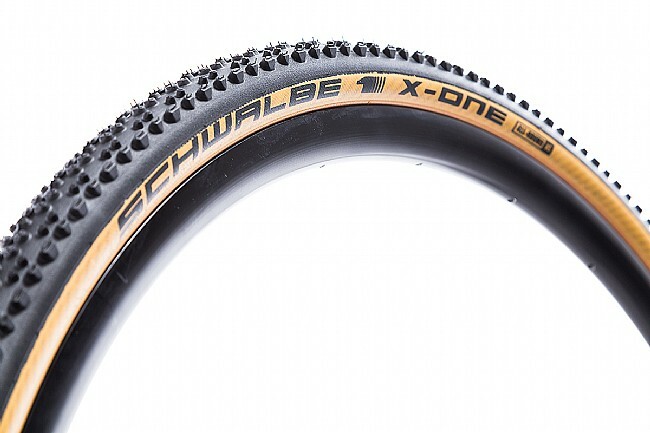 Looking for a do-it-all tire that is rolls fast without compromising on durability, look no further than the Schwalbe X-One LTD Skinwall Tire. Designed for the podium but equally suited to weekend crushing, this tire features the durable OneStar rubber compound and an aggressive tread pattern that can handle all terrains and all conditions, providing you more time on the trainer to warm up and less time swapping tires. Featuring the durable OneStar rubber compound, Schwalbe set out to make a tire that would roll as well over gravel as it would over mud. Combine this with the low-profile tread pattern, this tire digs into the loose stuff while rolling smoothly over asphalt or hard-packed dirt. Available in one 700 x 35c. Claimed weight: 380g. 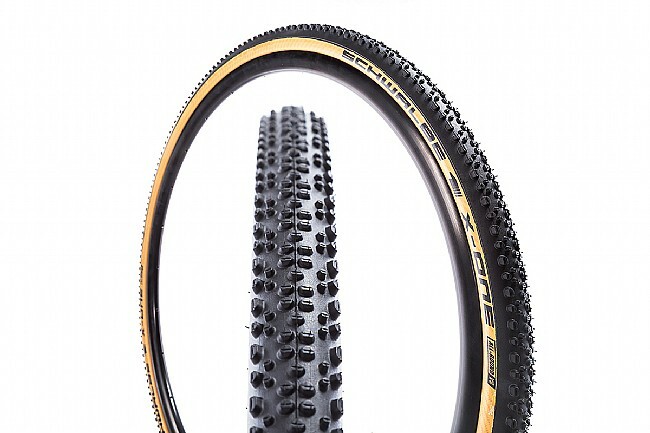 Raced on this tire tubeless in both cyclocross and gravel and it has worked very well for me. Great traction and good durability. A bit pricey, but what good tires aren't.